A host of stars including Meryl Streep, Viggo Mortensen, Paul Sorvino, Julianne Moore, Marcia Gay Harden, Debra Winger, Stanley Tucci and more took part in a special charity performance of Speak Truth To Power: Voices From Beyond The Dark on Monday night. The reading was performed at the Public Theater in New York City. 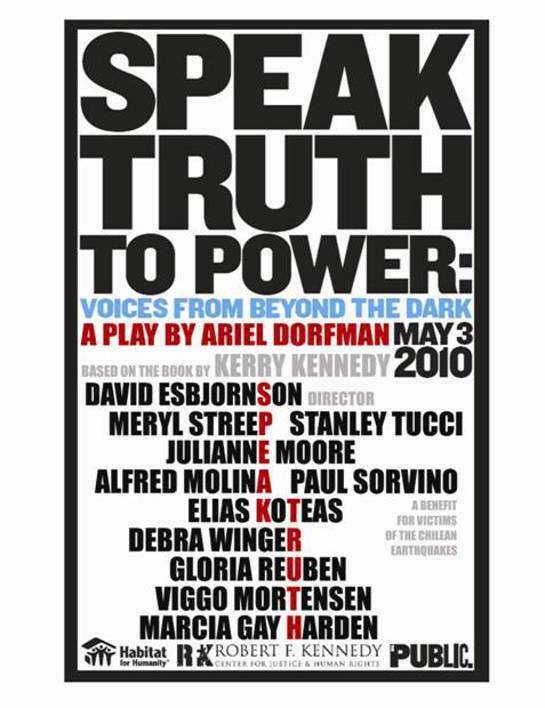 Originally a book written by Kerry Kennedy, “SPEAK TRUTH TO POWER” was adapted by playwright Ariel Dorfman for Monday night’s performance in order to raise money for Habitat For Humanity's Relief Efforts in Chile. The play chronicles the true-story accounts of heroic people withstanding horrific human rights abuses across the globe, and was presented by the Robert F. Kennedy Center for Justice and Human Rights – established by Kerry Kennedy in 1988. 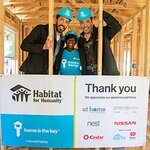 “By shining the light on human rights defenders around the world, who have displayed acts of extraordinary courage in the face of adversity, we can also help the people of Chile rebuild their lives and livelihoods,” said Kerry Kennedy.